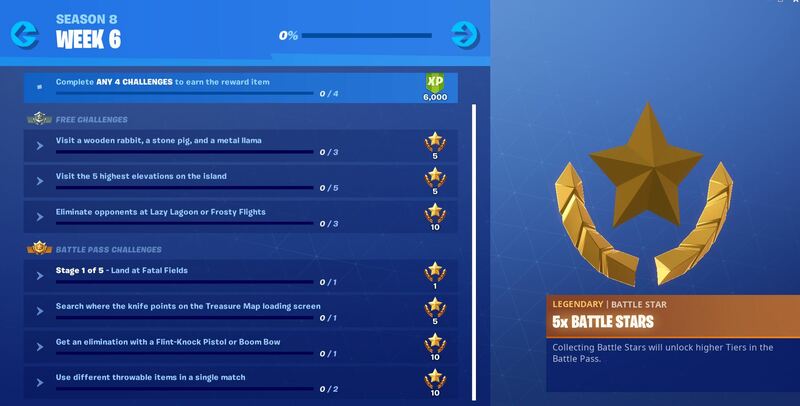 Struggling to complete the challenges for Fortnite Season 8, Week 6? Here’s a cheat sheet to help you complete the challenges quicker. The Fortnite Season 8, Week 6 challenges are now available to complete after unlocking at 3:30 PM BST. As with every week, there are three Free Challenges and four Battle Pass challenges for players to complete. The week 6 challenges has three challenges that aren’t your standard weekly challenge. One challenge requires players to visit the 5 highest elevations on the island, visiting different shaped animal statues, and searching where the knife points on the treasure map loading screen. Thanks to The Squating Dog and his reliable cheat sheets, players can complete the new challenges much quicker. 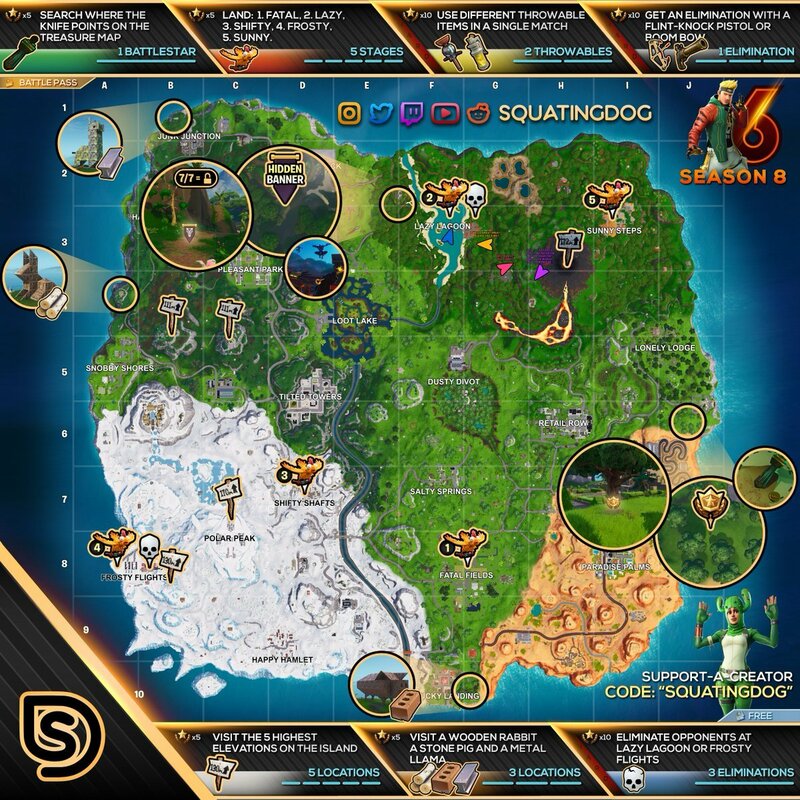 The Week 6 cheat sheet marks the location of the Battle Star for the “Search where the knife points on the treasure map loading screen”, the locations of the highest elevation points on the map, the locations of the wooden rabbit, stone pig and metal llama as well as the location of the week 6 discovery challenge hidden banner. Upon completing four of the seven available challenges, players are rewarded with 6,000 Season XP. Complete them all and you’ll be able to collect the hidden banner that’s marked on the cheat sheet.